KYOTO, Japan--(BUSINESS WIRE)--Kyocera Corporation (TOKYO:6971) today announced that its Germany-based European headquarters, Kyocera Fineceramics GmbH has concluded an agreement with H.C. Starck GmbH to acquire 100% of the shares of its subsidiary H.C. Starck Ceramics GmbH, a European advanced ceramics manufacturing and sales company based in Selb, Germany. H.C. Starck Ceramics will join Kyocera Group and begin operations in spring 2019, subject to regulatory approval*1. Since its establishment in 1959, Kyocera has provided components for a wide range of markets including industrial equipment, communications devices, medical devices, and renewable energy equipment, and has supported the development of numerous other industries by utilizing technology cultivated over many years of research, development, and manufacturing of fine ceramics. H.C. Starck Ceramics was founded in 1985 as “Hutschenreuther Technische Keramik” and became part of the H.C. Starck Group in 2001. H.C. Starck Ceramics possesses reaction bonded silicon carbide (RBSiC*2) processing technology – a new technology for Kyocera – which enables production of high rigidity, large complex shaped materials. The newly acquired company also brings highly efficient production equipment using cutting-edge technologies such as Artificial Intelligence (AI). Through the acquisition of H.C. Starck Ceramics, which brings with it fine ceramic manufacturing assets in Europe, production lineup, and innovative technologies, Kyocera aims to further expand its fine ceramic business globally. administrative authorities, which are necessary under anti-trust and investment related regulations etc. in relevant countries. *2 The reaction bonded silicon carbide (RBSiC) is a type of ceramics without changing dimension when fired. Kyocera Corporation (TOKYO:6971) (https://global.kyocera.com/), the parent and global headquarters of the Kyocera Group, was founded in 1959 as a producer of fine ceramics (also known as “advanced ceramics”). By combining these engineered materials with metals and integrating them with other technologies, Kyocera has become a leading supplier of semiconductor packages, industrial and automotive components, electronic devices, solar power generating systems, printers, copiers and mobile phones. During the year ended March 31, 2018, the company’s consolidated net sales totaled 1.58 trillion yen (approx. US$14.9 billion). Kyocera appears on the “Top 100 Global Innovators” list by Clarivate Analytics and is ranked #612 on Forbes magazine’s 2018 “Global 2000” list of the world’s largest publicly traded companies. 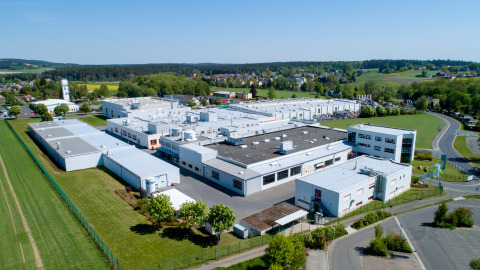 Kyocera Fineceramics GmbH has concluded an agreement with H.C. Starck GmbH to acquire 100% of the shares of its subsidiary H.C. Starck Ceramics GmbH.